"As an online advertising network, we’re dedicated to increasing your bottom line through powerful ad technologies." A website is a necessary tool for nearly every business and organization. An effective, beautiful website is a game changer. We design top-notch responsive sites with care given to everything from information architecture to content, color to typography, UX to e-commerce. Every project is unique, but they all start with one thing in common: we want to know everything. Where you started. Where you want to go next. What you value. Who your customers are and why they care about you. When you reverse engineer your customers experience in your website, you see it in a whole new way. Technology changes at a breakneck pace, and we’re happy to be a pace car. We’re here to guide and educate you every step of the way. By looking at your goals and budget, we’ll create a strategy to reach your users across all digital mediums. Let’s talk user experience. It’s what makes an app a celebrated success or a forgotten failure. Your app is only as good as your interface. 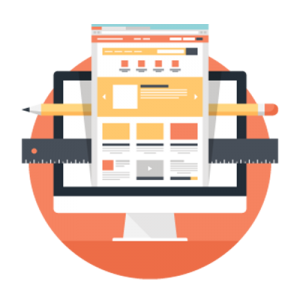 We’ll work with you to design a web application that is intuitive and effortless for users to use. "LEARN MORE BY CONTACTING US TODAY"